The Mahabodhi Shrine was constructed by magadha king Ashoka in 3rd century B.C.. 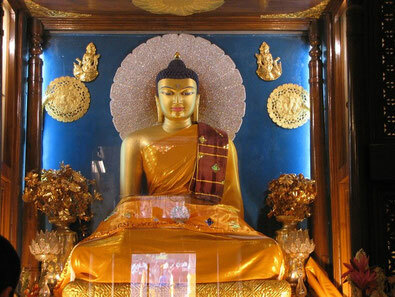 Thus Bodh-Gaya is the birth place of Buddhism. People from all over the world visit here throughout the year. Hotel MAHAMAYA is the nearest hotel from Mahabodhi Temple, where Lord Buddha attained the enlightenment. The Mahabodhi Temple (महाबोधि मंदिर) (Literally: "Great Awakening Temple") is a Buddhist temple in Bodh Gaya, the location where Siddhartha Gautama, the Buddha, attained enlightenment. 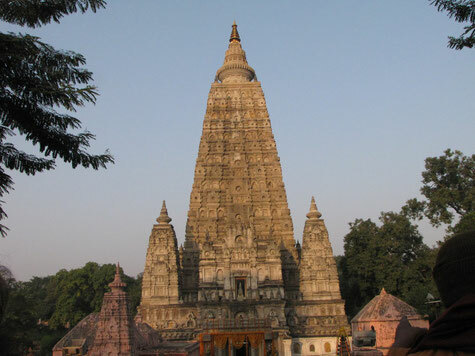 Bodh Gaya(located in Gaya district) is located about 96 km (60 mi) from Patna, Bihar state, India. Next to the temple, to its western side, is the holy Bodhi tree. In the Pali Canon, the site is called Bodhimanda, and the monastery there the Bodhimanda Vihara. The tallest tower is 55 metres (180 ft) tall.